Today, on 10th October 2018, it’s World Mental Health Day. 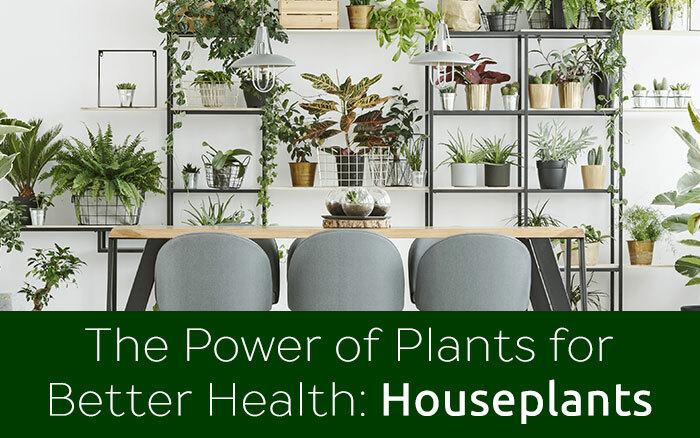 What better time could there be to discuss the amazing power of plants for improving our mental health? 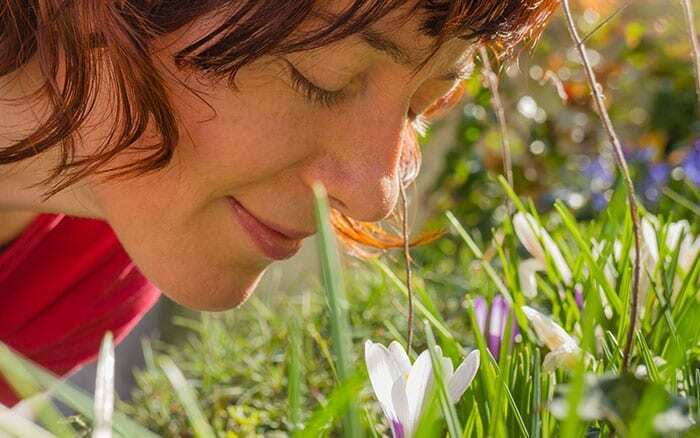 Whether it’s making social connections in the local community garden or taking notice of the little things in a natural space, gardening can have a positive impact on your mental wellbeing. Mental health problems affect a lot of people in the UK. A recent survey for NHS Digital found that one adult in every six had experienced a mental health problem in the week prior to the survey. So it’s likely that you or someone you know is suffering from poor mental health right now. Common problems include depression, bipolar disorder, anxiety and panic disorder. Poor mental health is often characterised by regular negative emotions, a negative view of oneself, others and the events that happen in life. 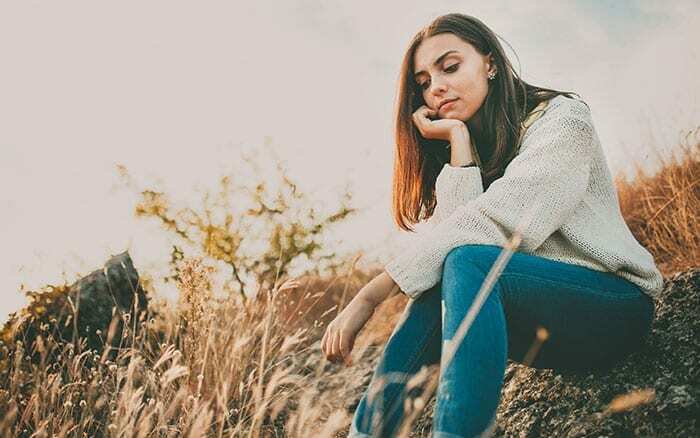 It can affect a person’s ability to function, set and achieve their goals, as well as their ability to make and maintain personal relationships. 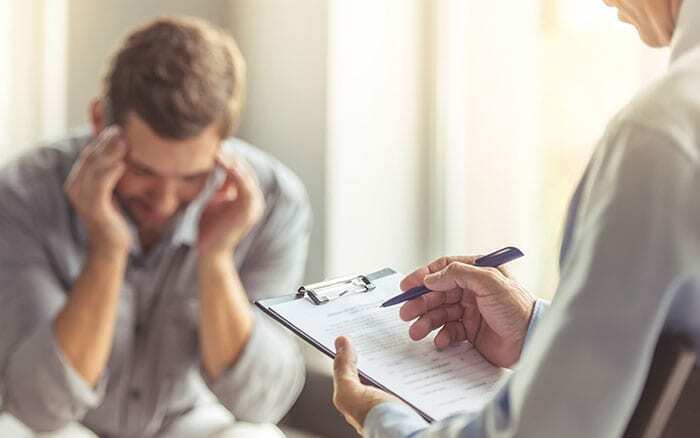 In addition to the unpleasant effects of mental illness on day to day life, the NHS Mental Health Taskforce also reports that people suffering from ‘prolonged and severe’ mental health problems die, a staggering, 15–20 years earlier on average than those without. It’s also reported that two thirds of these deaths are caused by avoidable physical illnesses and that this has an economic and social cost of £105 billion every single year in England alone. By contrast, high levels of mental wellbeing are associated with productivity, positive personal relationships, resilience, good physical health and longer life expectancy. Mental wellbeing is characterised by regular experiences of positive emotions and positive attitudes towards oneself, others and life events. Let’s face it—good mental health makes for positive life experiences and if there’s something we can do to keep ourselves well, then it’s definitely worth our time. The good news is that we can preserve and restore our mental health. The good news is that we can preserve and restore our mental health through the ‘five ways to mental wellbeing’ recommended in the Mental Capital and Wellbeing report by the Government Office for Science. 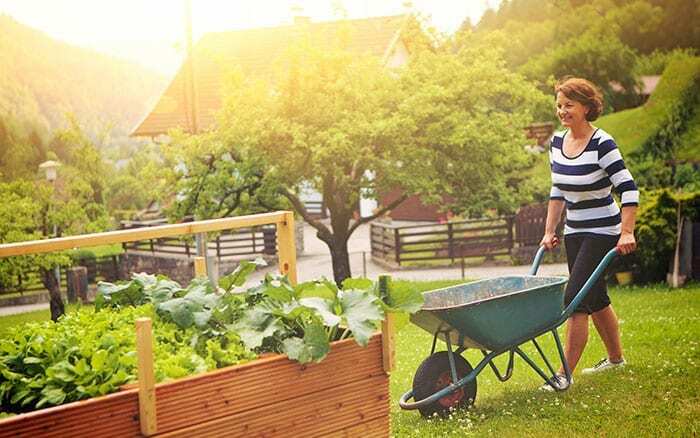 Let’s look at each of these recommended ways to mental wellness now and see how gardening can in fact be the perfect tool for ensuring we experience good mental health for years to come. The first step to mental wellbeing, according to the report, is to make connections with the people around you—be they friends and family, colleagues or people in the local community. Having a social network, in which you feel close to others, is great for mental health as it can be a source of positive feelings and support through adversity. Gardening is a brilliant way to develop connections with other people. 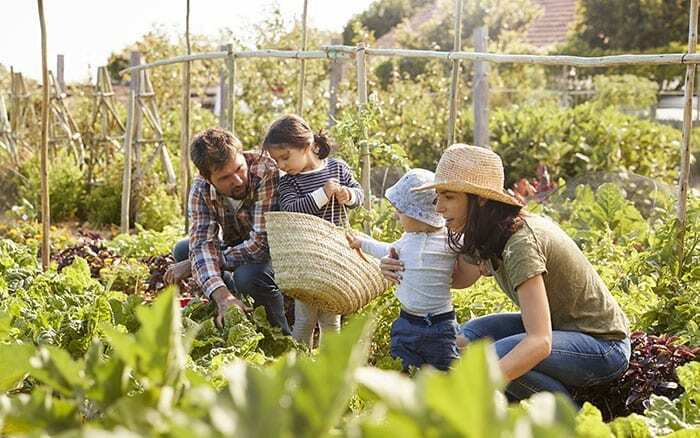 Sign up to a community garden near you, help out at the local school garden, find yourself an allotment plot or start a gardening project yourself in your own back garden! Don’t forget to check out my Cultivation Street campaign, which supports community gardens and school gardening projects and gives cash prizes and free plants to keep the nation growing every year. 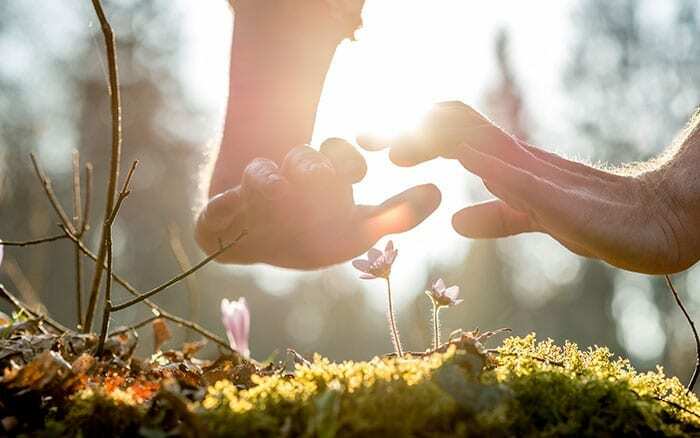 Working together on the land with others helps to form the types of social connections that we all need to stay in good mental health. Speaking from personal experience, the sense of achievement you get from turning a disused piece of land into a lush, thriving garden is really second to none. Not to mention the satisfaction you can get from using the tomatoes you’ve grown yourself in your home cooking. Physical exercise is known to have significant mental health benefits sometimes on a par with anti-depressant medication. Studies show that even short bursts of activity can increase our alertness, energy and mood, while frequent exercise can increase our self-esteem, reduce our stress and anxiety levels and prevent the onset of mental illness. So, to improve and sustain your mental health, get out there and move your body! 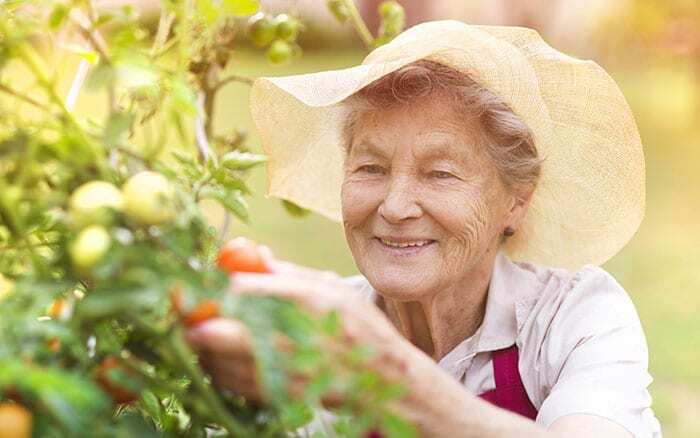 Of course, you can’t garden without moving—you twist and stretch, lift things and walk about—so gardening can help to ensure good mental health through physical activity. 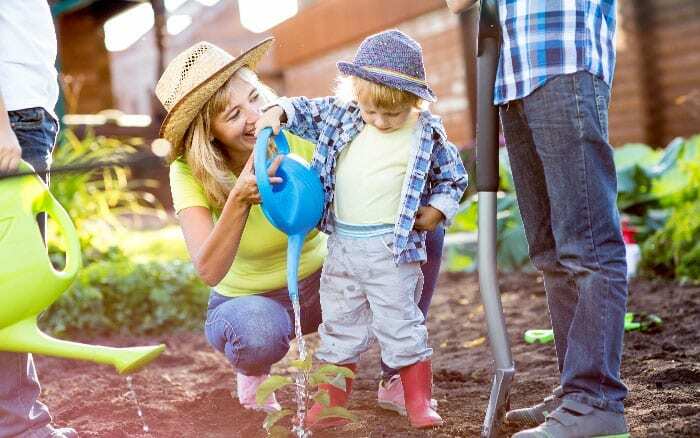 Unlike a body pump class, however, gardening is low intensity, so it puts less strain on the joints than other activities whilst still getting us lots of exercise. It’s also so engaging once you get into it, that you forget that you’re exercising! You’re too immersed in the fragrance of the rose bushes that you’re pruning, in the sound of the birdsong around you as you dig the earth, in the feel of the soil between your fingers as you plant your seeds. For me, this makes getting enough exercise effortless! 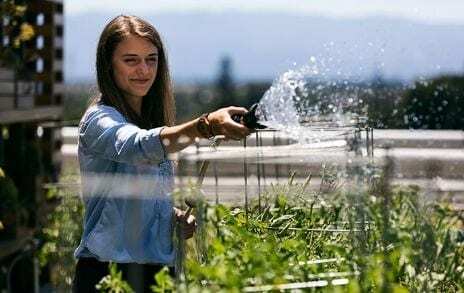 Another fantastic feature of gardening compared with other activities is that it’s so adaptive. Jobs can be chosen to suit your ability and fitness levels and most gardening tools and equipment can be adjusted to suit just about absolutely anyone. If you have difficulty bending, you can opt for raised beds or long-handled tools. 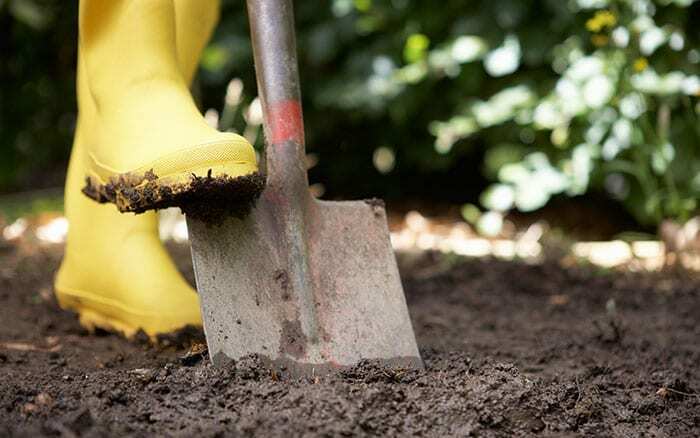 If you have trouble with heavy digging, stick to planting in pots and containers. If you have trouble with heavy digging, stick to planting in pots and containers. This is especially true in a community garden where jobs can be exchanged with others according to skill and ability levels. For good mental health, it is important to be present in the moment and appreciate the little things. Taking note of the beautiful sights, unusual sounds and delicate fragrances in your environment and savouring the taste of your food has all been shown to have positive effects on your mental health. This may be because focusing on things in the moment enables you to stop worrying so much about what’s going to happen next month or what happened last week and can give your mind a break from negative thoughts. What better way could there be to appreciate the little things than through gardening? Whether it’s noticing the dew droplets on the perfect spider’s web strung across your garden gate or taking in the delicate fragrance of honeysuckle on a summer’s evening. 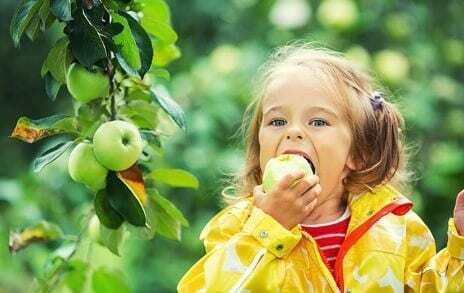 Perhaps it’s savouring the taste of an apple fresh from the tree, gardening offers us elements of beauty and intrigue as we immerse ourselves in nature. 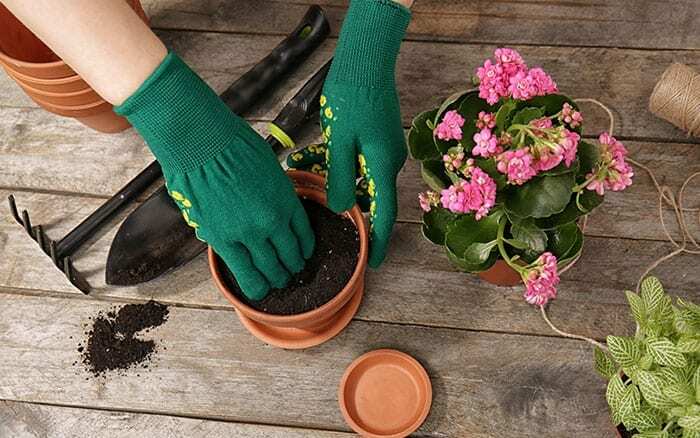 It’s a very absorbing activity, without being at all demanding—when you’re among your flower pots and compost bags, you can leave the weight of the world behind you for a little while. So, get out in your garden today and allow yourself to be taken in by the world around you. Fill your lungs with the fresh air, notice the colour of the sky. Watch and listen for wildlife—anything goes, just give yourself a moment to take everything in. It doesn’t really matter what you’re learning—whether it’s how to crochet a blanket, bake a chocolate cake, or speak French—making progress, achieving goals and finding out interesting things you didn’t know before are all great for keeping your mind in a positive state. According to the NHS, people who continue to learn report higher feelings of wellbeing, self-esteem, hope and purpose, which may be because setting targets and achieving them creates positive feelings of success and achievement. They also report a greater ability to deal with stress and may be better able to get the most out of life. Indeed, learning is one of my favourite aspects of gardening. What’s more, no matter how much of an expert you are or are not there is always something you can learn. 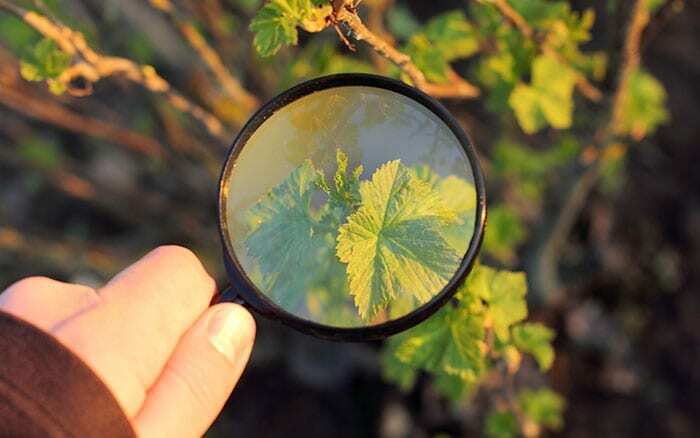 If you’re a beginner, start small—focus on learning how to grow just one or two unfussy plants and add to your knowledge from there. If you fancy growing your own, you might plant salad leaves, like lettuce, which are easy going and will be ready to harvest in just 3 weeks. Alternatively, choose courgettes, or fruit plants like raspberries or blackberries for a bumper crop in exchange for the little effort involved in looking after them. If you’re more of an ornamental gardener, learn how to plant easy-to-grow shrubs like Pyracantha (firethorn) or Buddleja (Butterfly bush) that will thrive with little attention. If you’re a seasoned gardener, branch out by learning to grow fussier plants, like blueberry or Rhododendron bushes and Echium webbii. 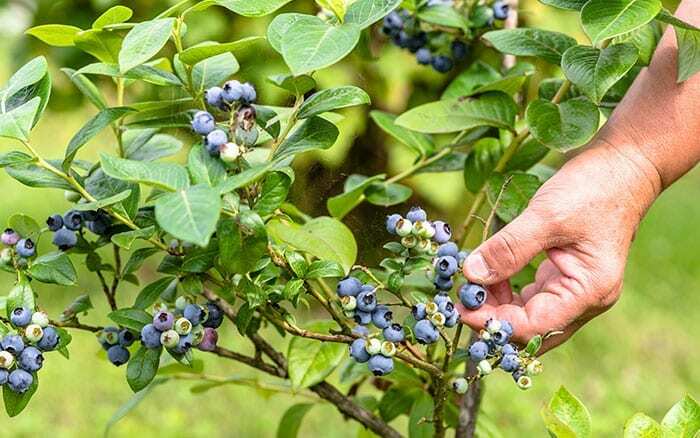 Blueberries and Rhododendrons are both ericaceous (acid-loving) plants which need to be planted in specialist ericaceous compost and have their acidity levels monitored and maintained to keep them in good health. Echium webbii, on the other hand, is a tender perennial, so you will need to learn how to protect it from winter frosts in order to be rewarded with its incredible purple turret flowers each spring. Learn a new pruning technique, learn how to take cuttings from different plants, learn how to identify different plant varieties and resolve different issues. It can be a great idea to set yourself gardening-related goals, like ‘I’m going to grow my own apples and bake them into a pie for an October family gathering,’ or ‘I’m going to force bulbs to flower and gift them to my in laws this December,’ or even ‘I’m going to pot on those seedlings today.’ Then you’ll get the benefits of setting and achieving goals as well. Doing something nice for someone else helps you to feel good about yourself and makes connections with the people around you. So, water your neighbour’s plants while they’re away, get your colleague a cuppa when they’re stressed, let someone go in front of you in the supermarket queue. These things all give our mental health a boost. Once more, gardening provides us with a great way of giving to others, thereby benefitting our mental health. One way to do this is to grow things and give them as gifts for others. You might choose to grow the bride white heads of Paeonia (peony) ‘Elsa Sass’ or the pillar box red flowers of Tulipa (tulip) ‘Red Impression’ and take a bunch of them to a sick relative’s house—they make incredible cut flowers. When forcing bulbs to flower in time for Christmas, plant a couple of extra containers and give them out as gifts to neighbours in December. Take cuttings of easy-rooting plants like Kalanchoe (flaming katy) or Tradescantia (wandering jew) or pot on Bromeliad off-shoots and take them as a present for the host at the next dinner party you go to. Another way to give to others through gardening is by volunteering your time and skills to help others in the local community. 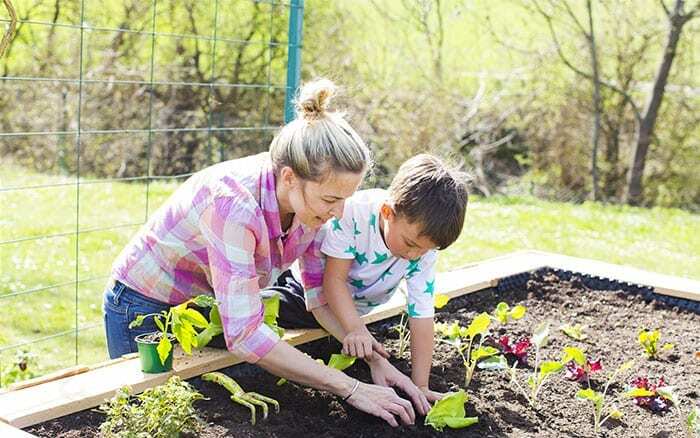 Offer your help in turning your kid’s school garden into a thriving paradise or in teaching the kids themselves some simply gardening skills. Help to plant up containers around town for the benefit of everyone who walks by. Offer to mow the lawn of your neighbour’s garden when you’re doing your own. All of these aspects of gardening can give your mental health a boost—but keep it up! Studies show that you have to keep doing it in order to keep reaping the benefits. What’s fantastic about gardening, of course, is that it can be done anywhere by anyone. 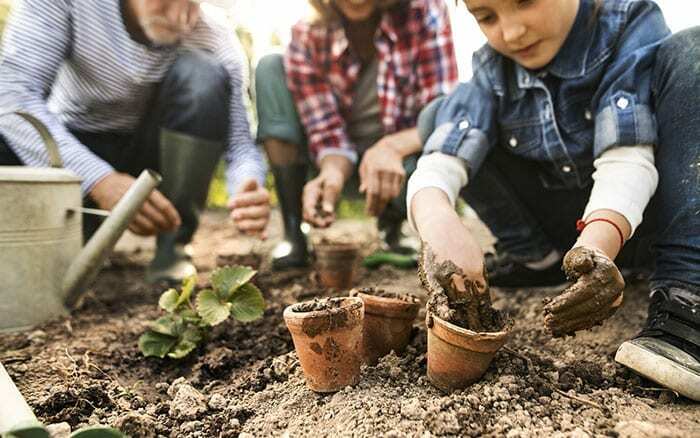 Whatever your age or ability level and whether you have a large outdoor space or none at all, you can get the mental health benefits of gardening. 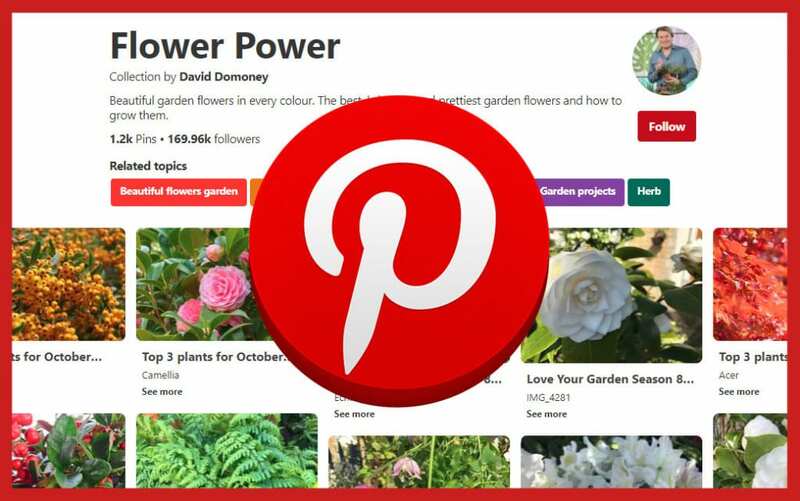 Join a community garden or allotment, grow fragrant herbs in pots on your window sill, gift cuttings of houseplants or offer your time to garden for the benefit of others. So, if we want to stay mentally on form, gardening is a great way to get there. If you want to find out more about mental health or to offer your support to a mental health charity, I’d recommend visiting the website for SANE—the mental health charity for which I am an Ambassador.